A lovely wedding anniversary cake for a small lunch. Inside is classic vanilla sponge. 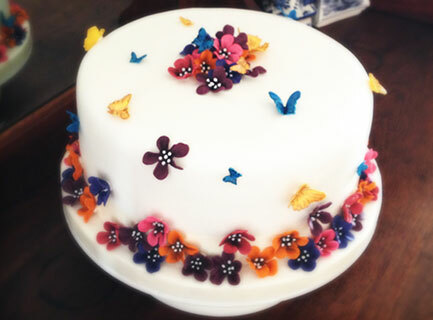 Adorned with flowers and butterflies in a rustic colour scheme this cake makes a lovely centerpiece for your dessert and tastes delicious too.